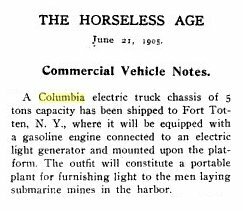 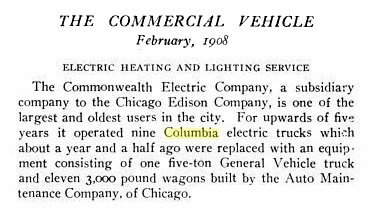 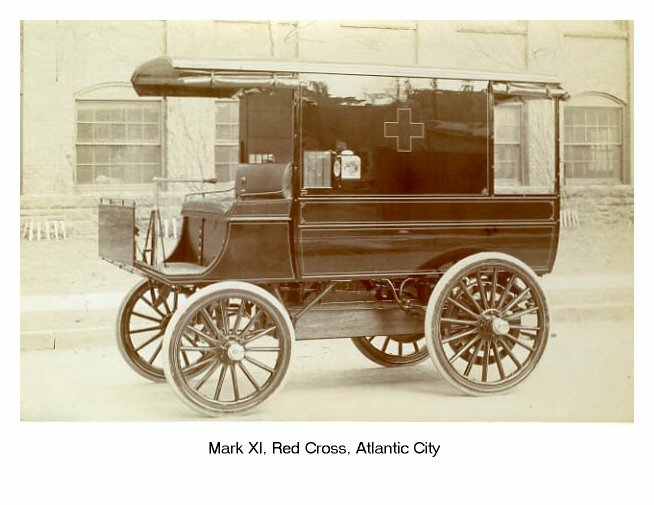 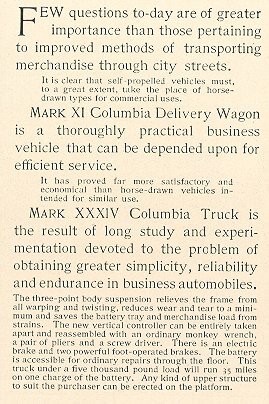 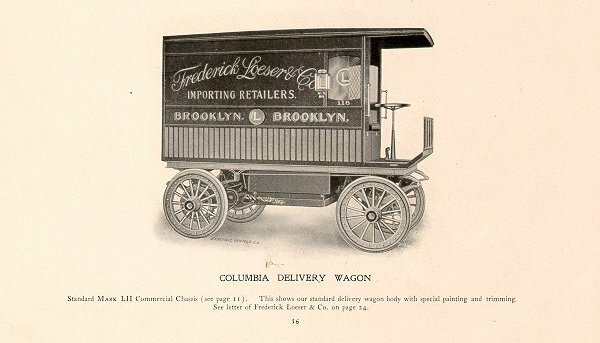 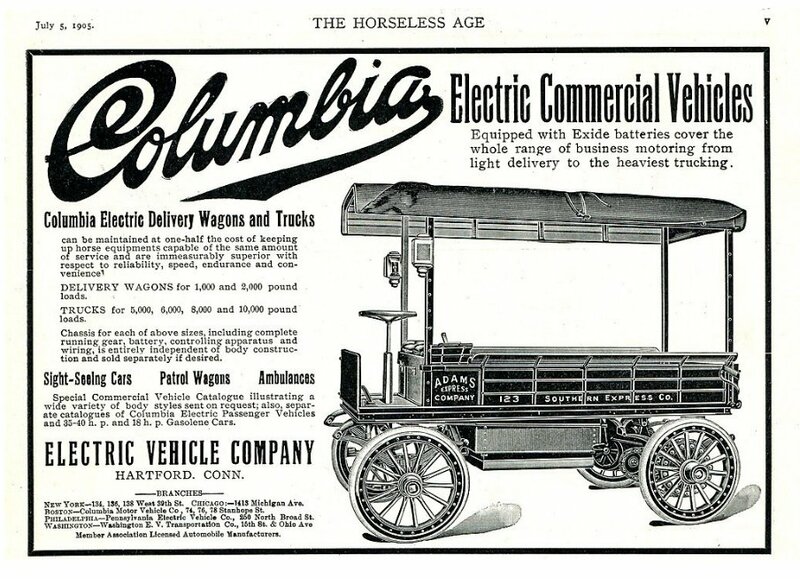 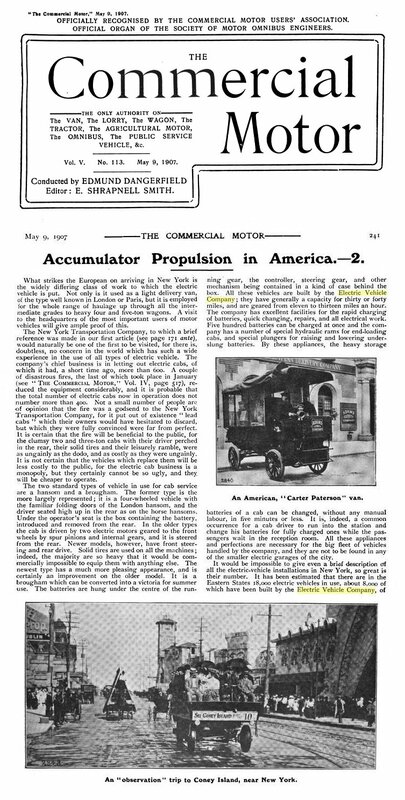 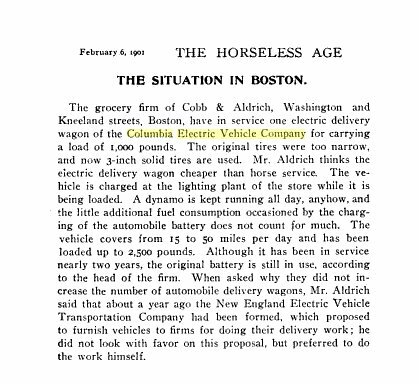 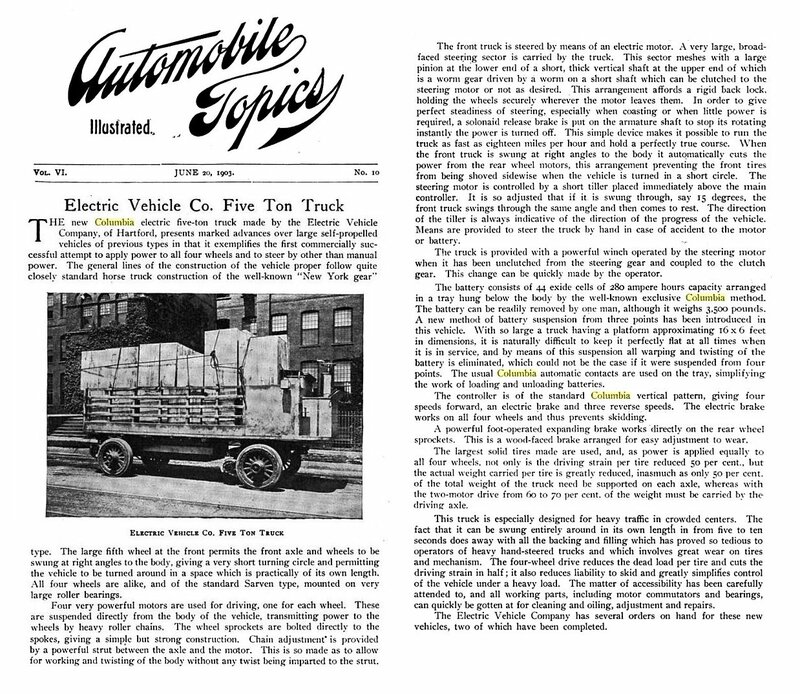 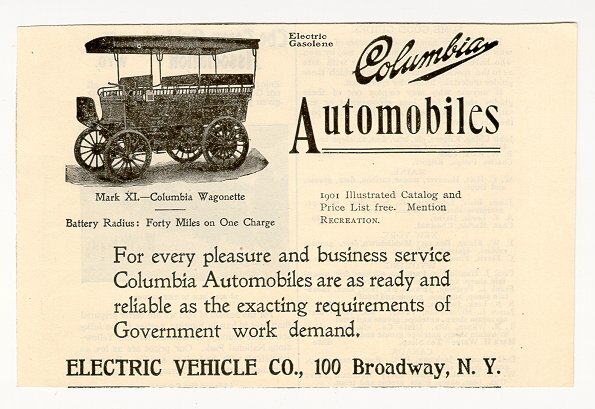 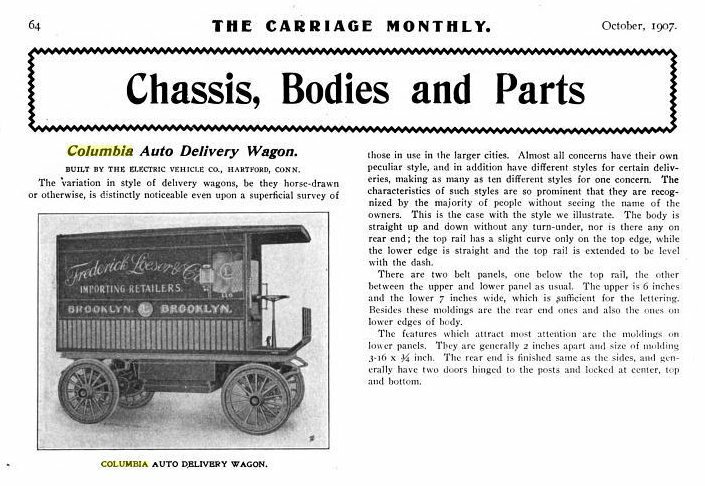 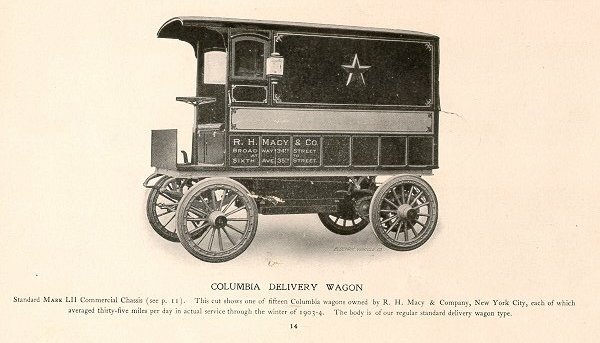 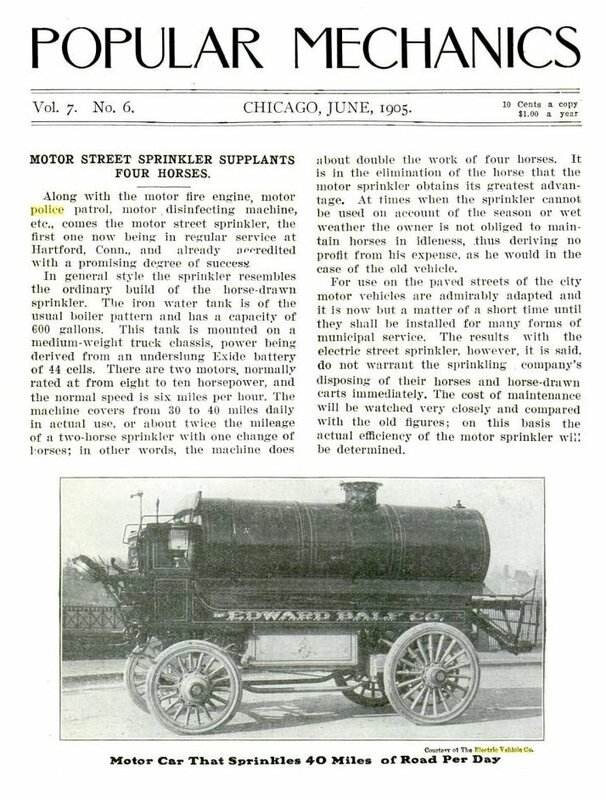 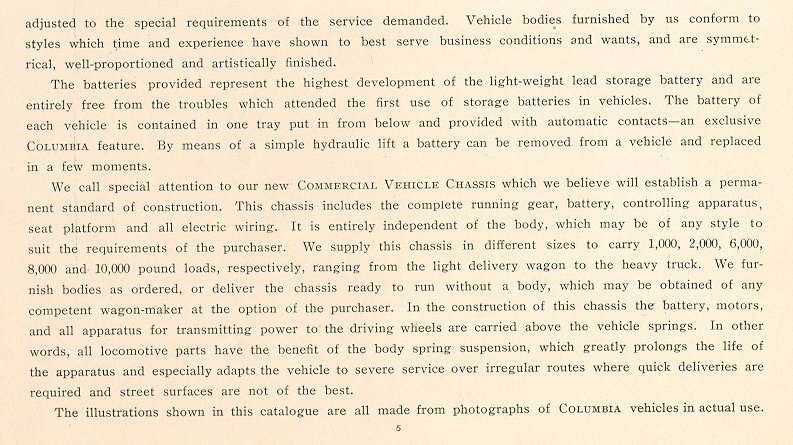 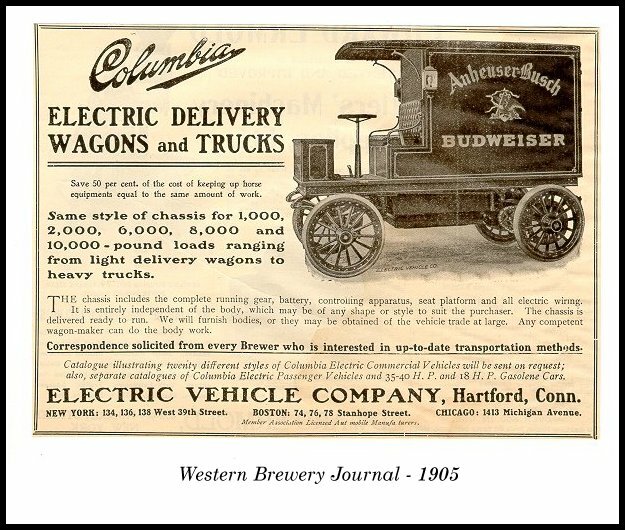 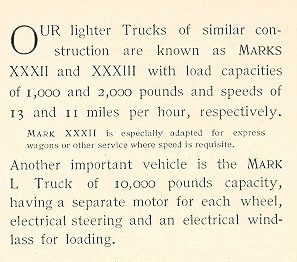 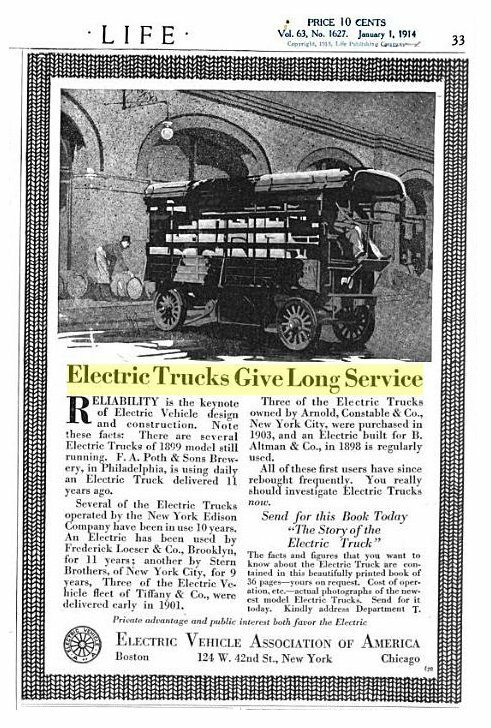 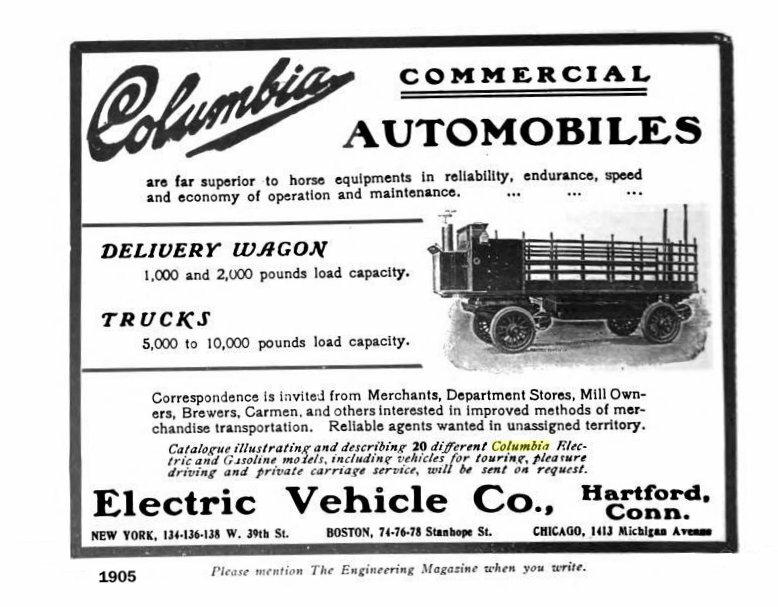 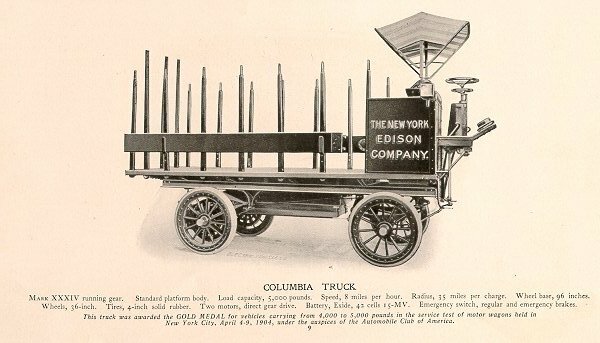 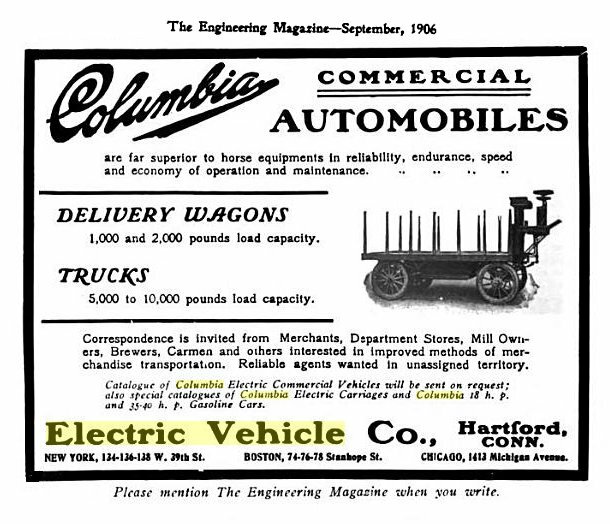 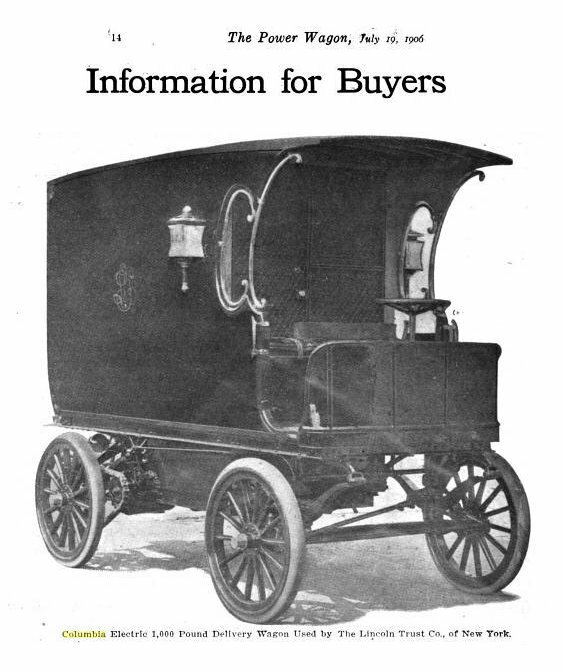 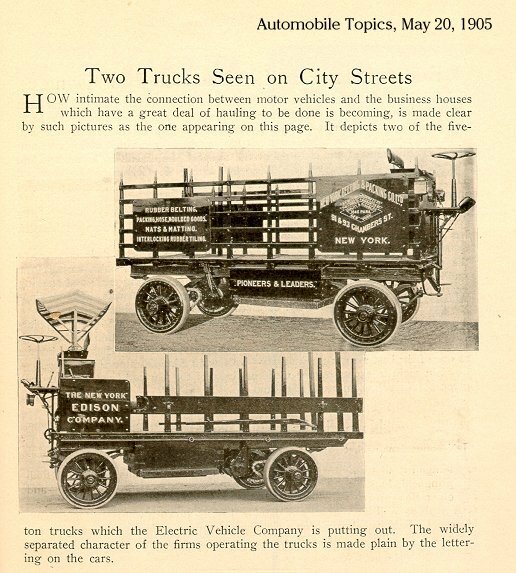 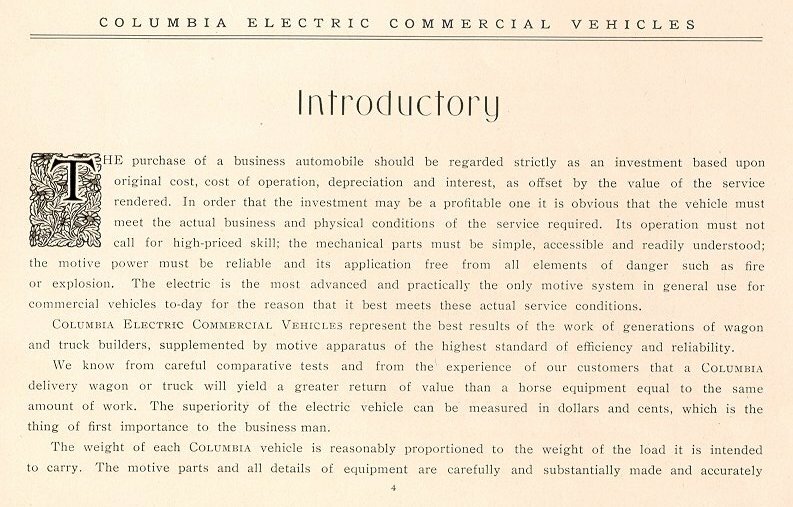 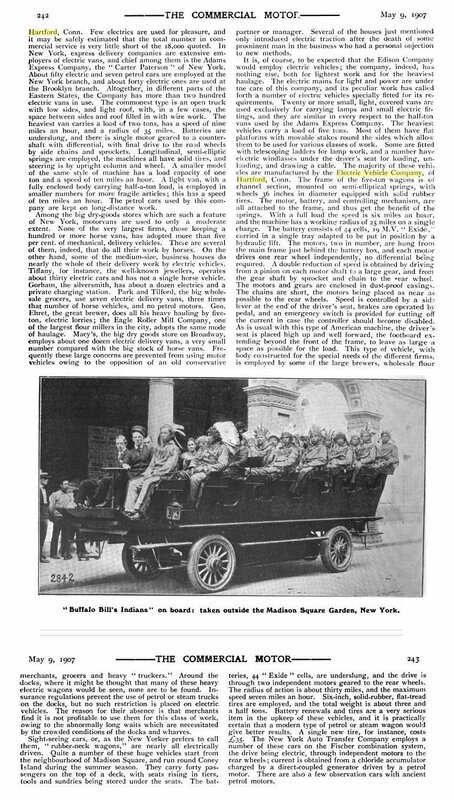 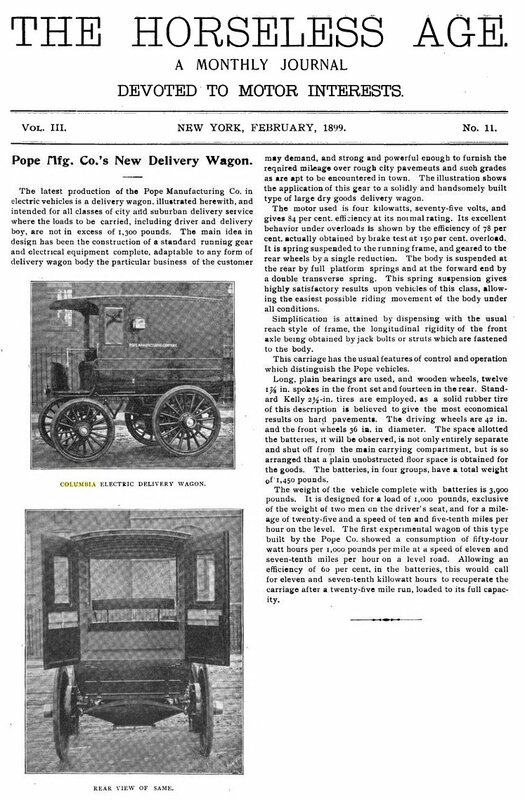 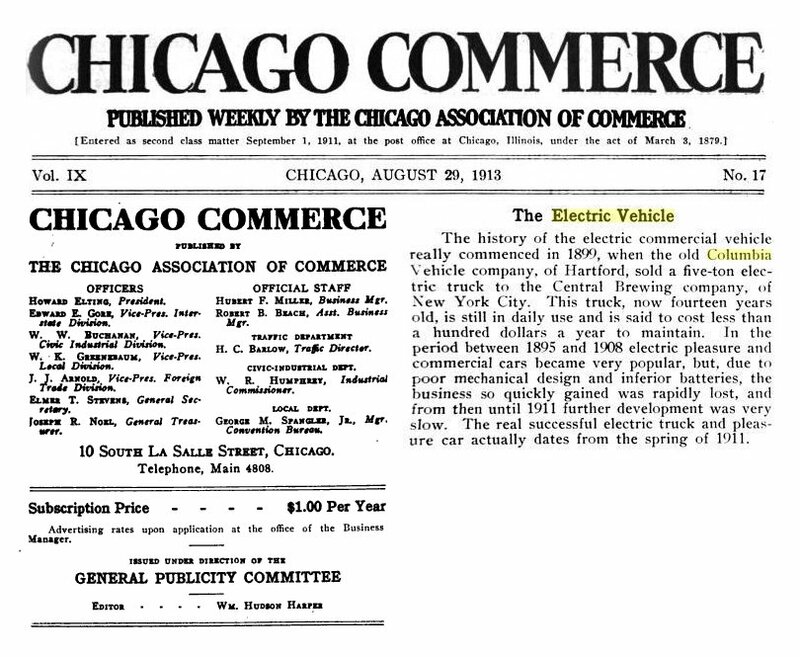 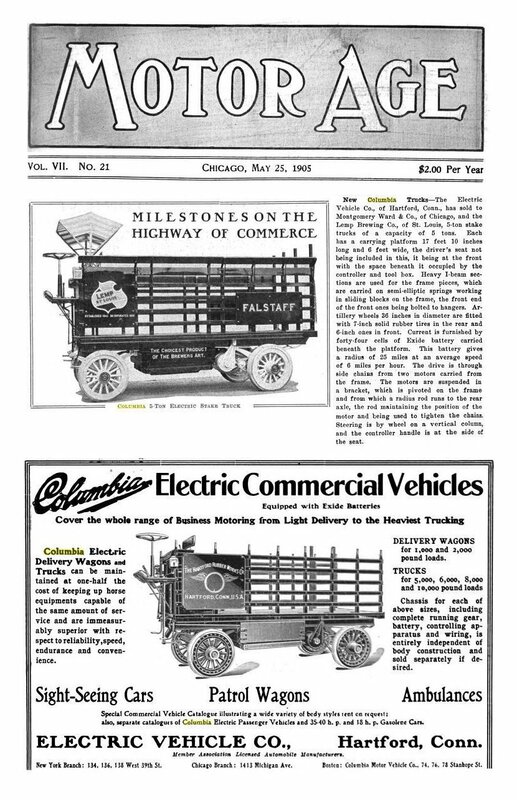 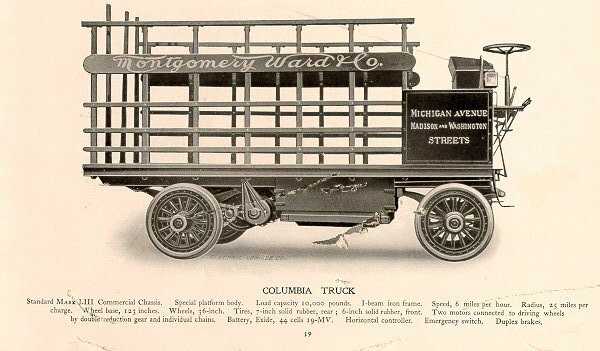 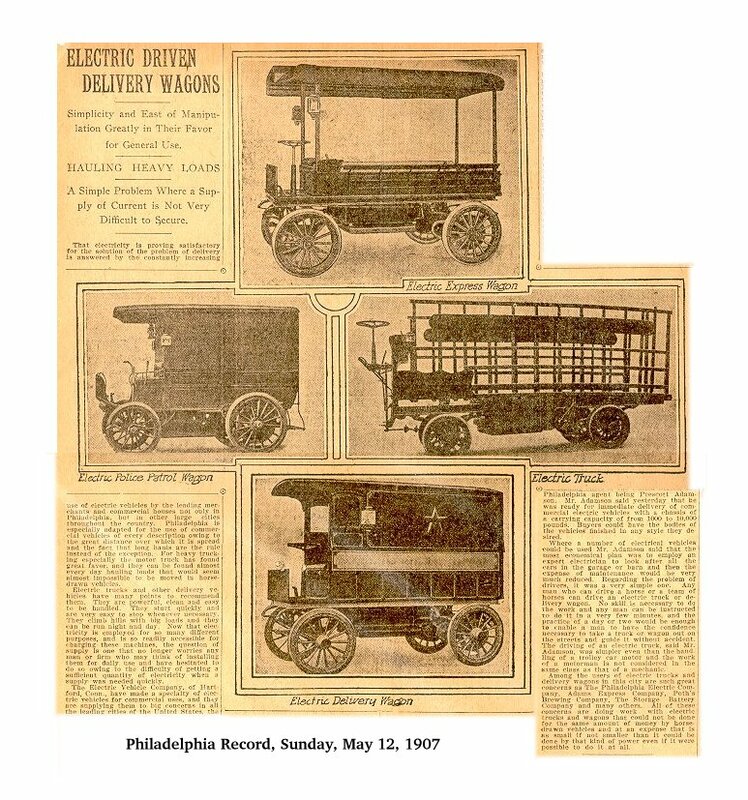 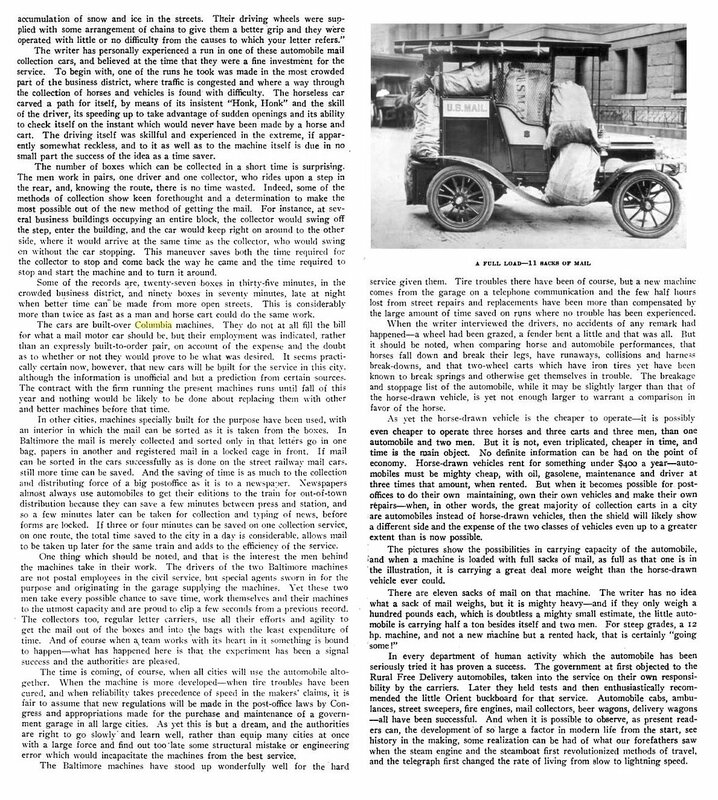 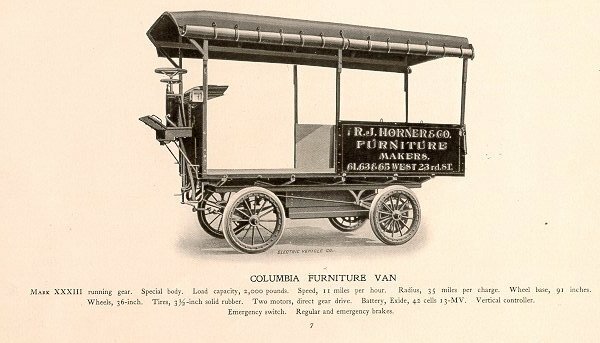 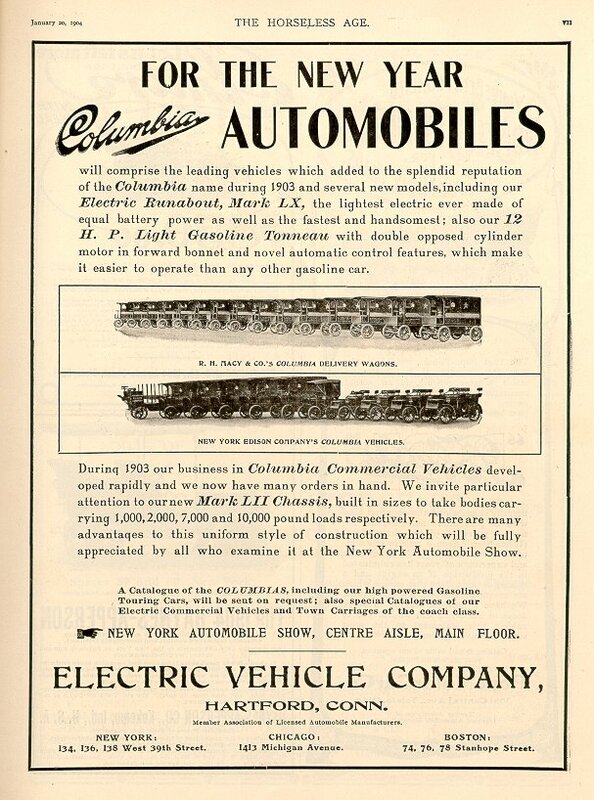 Columbia Commercial Vehicles - 1903 . . . . . 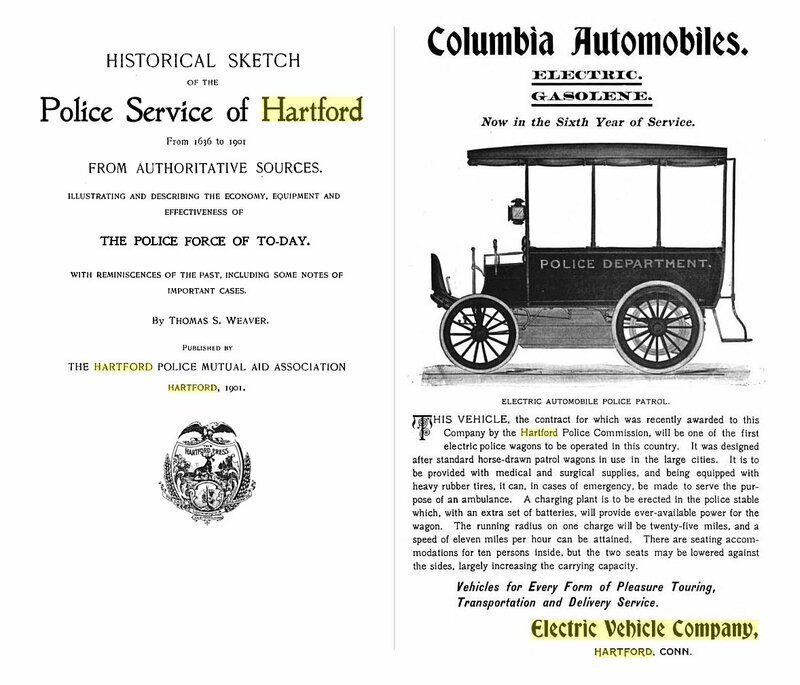 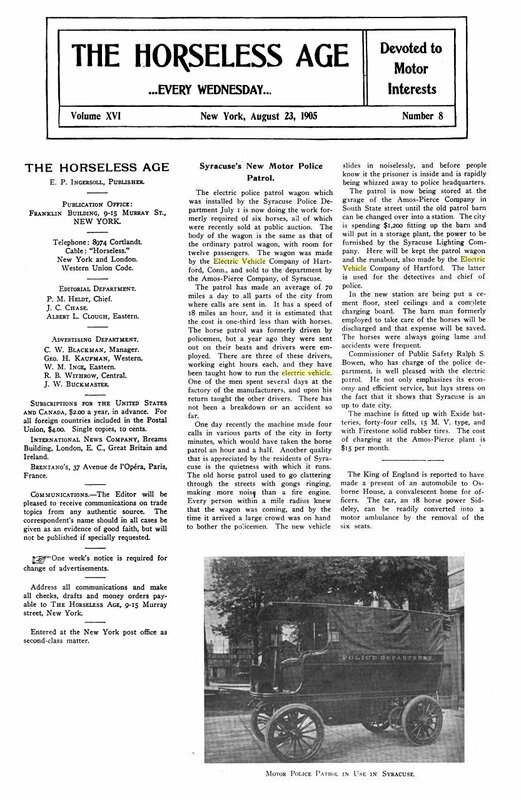 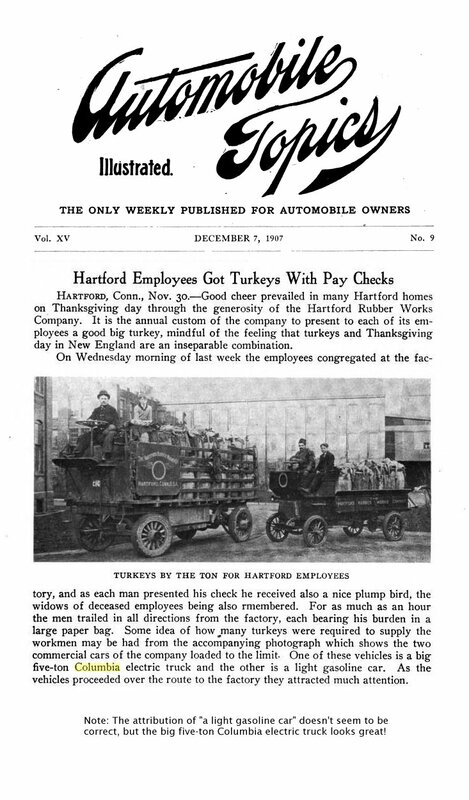 The first image on this page is from the 1901 Hartford City Directory. 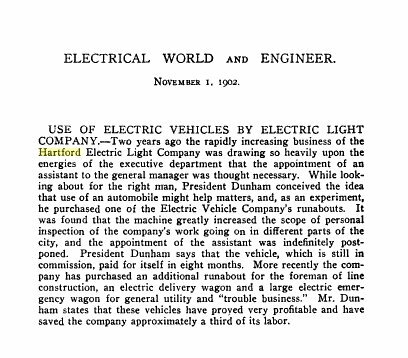 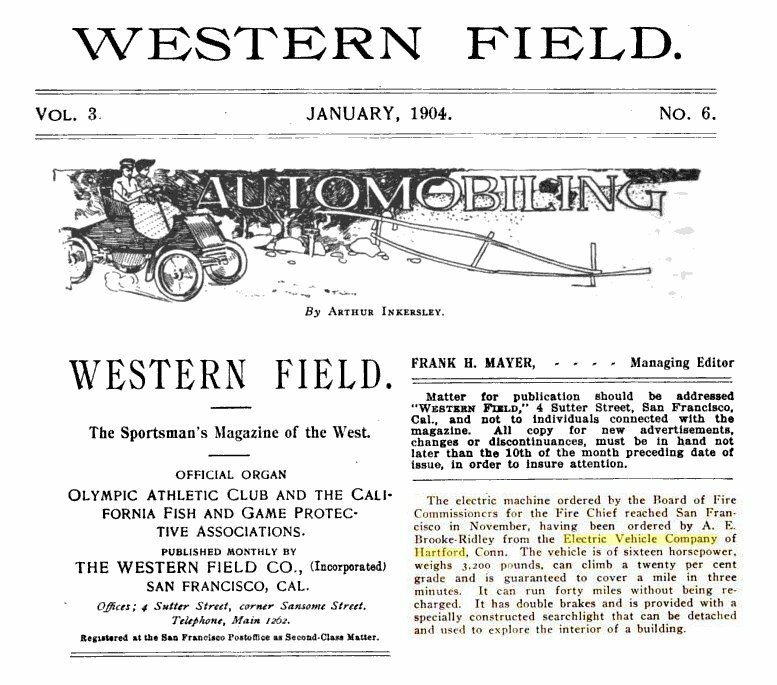 from the 1903 booklet seen on the previous pages. 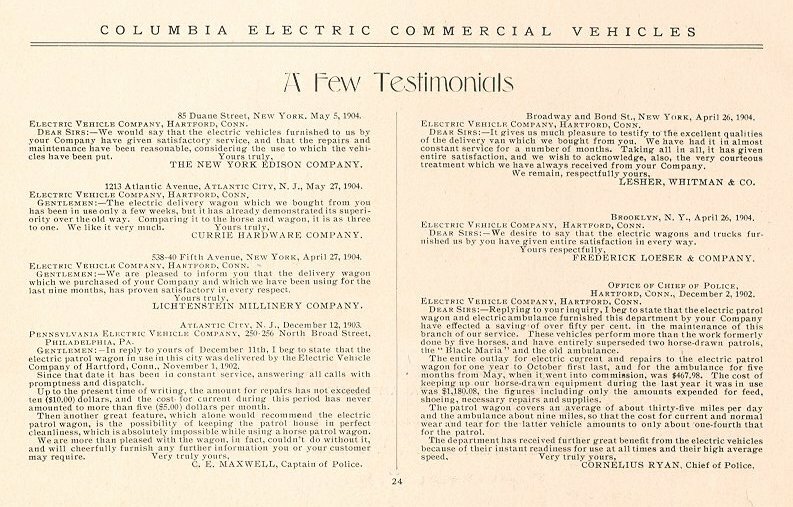 are from a booklet published in late 1904 or early 1905. 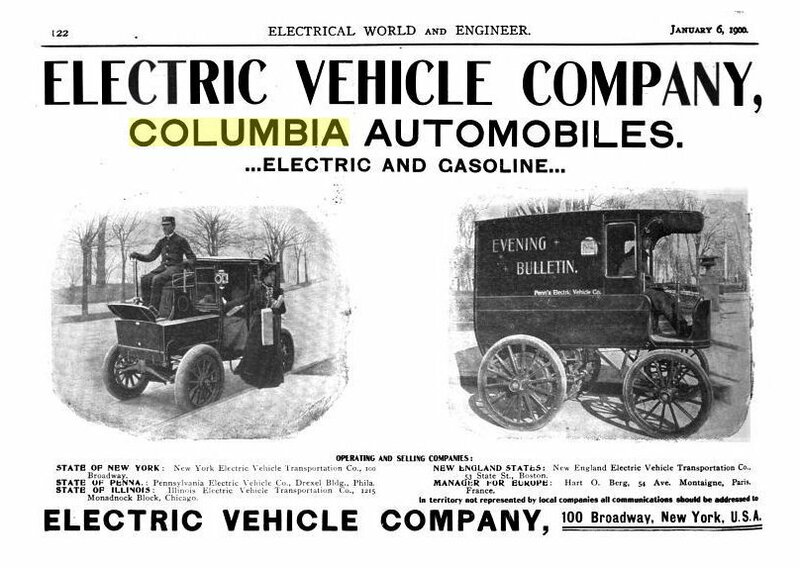 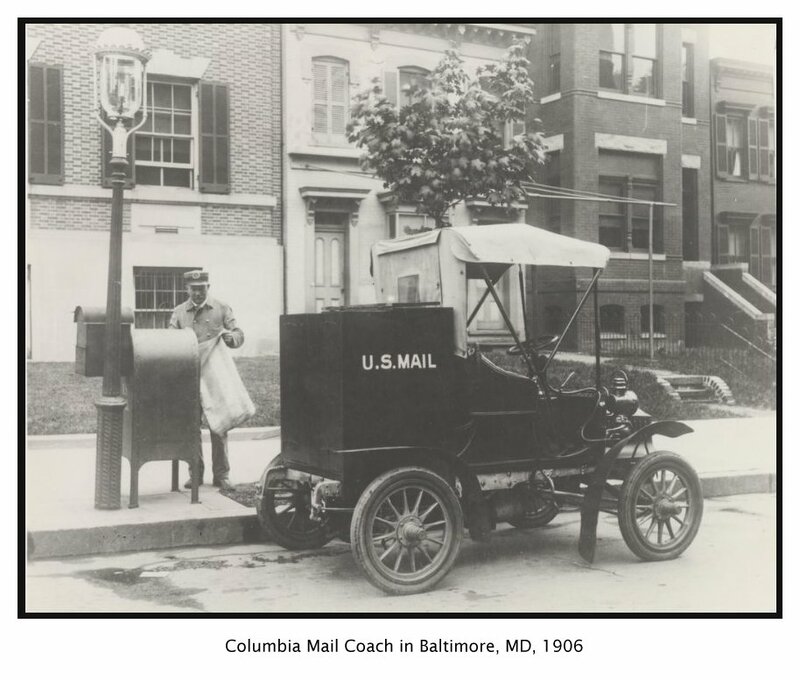 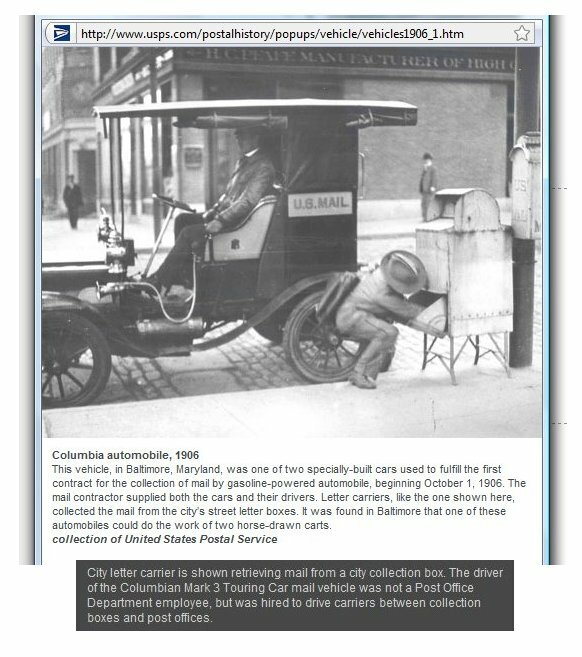 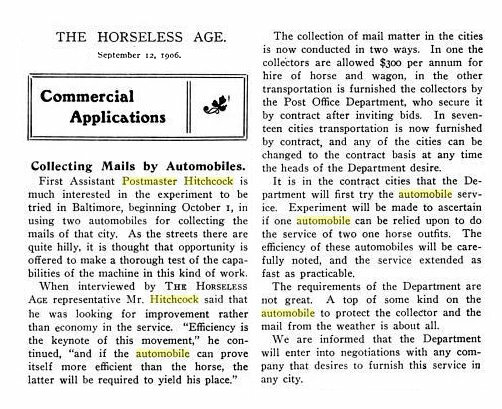 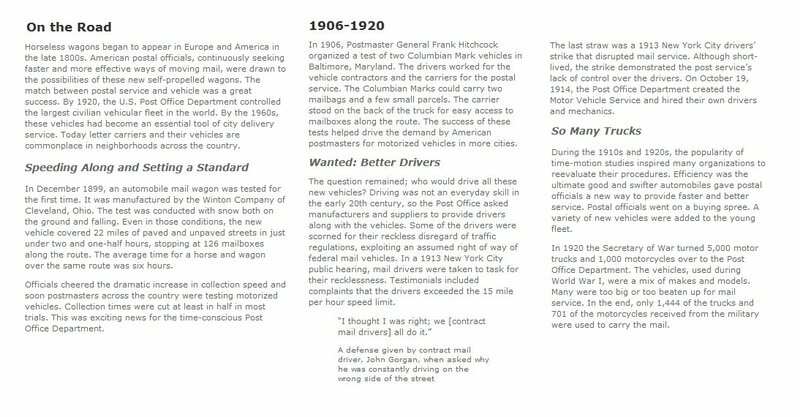 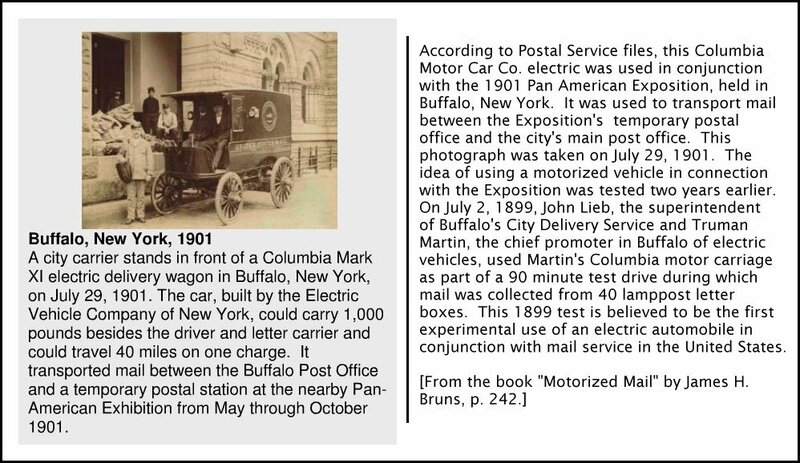 Columbia cars used by the US Post Office. 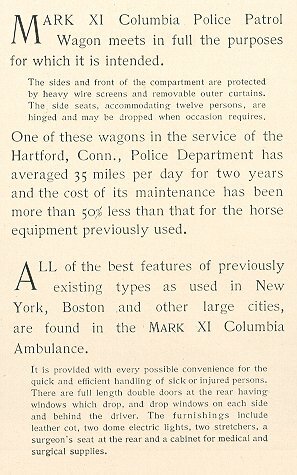 placed here to keep all of the police items together. 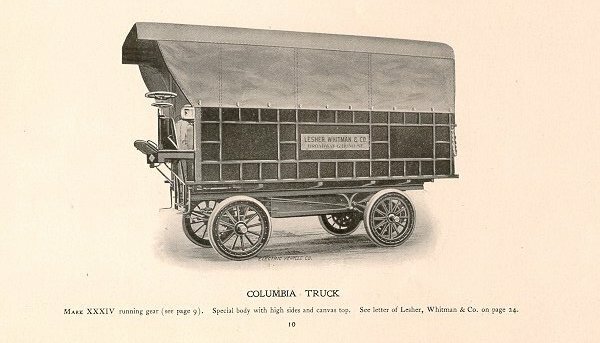 Columbia trucks entered, click HERE. 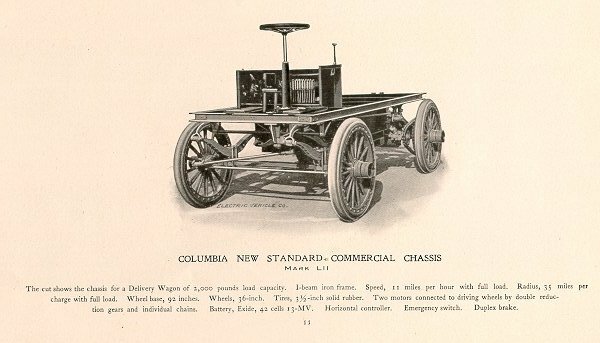 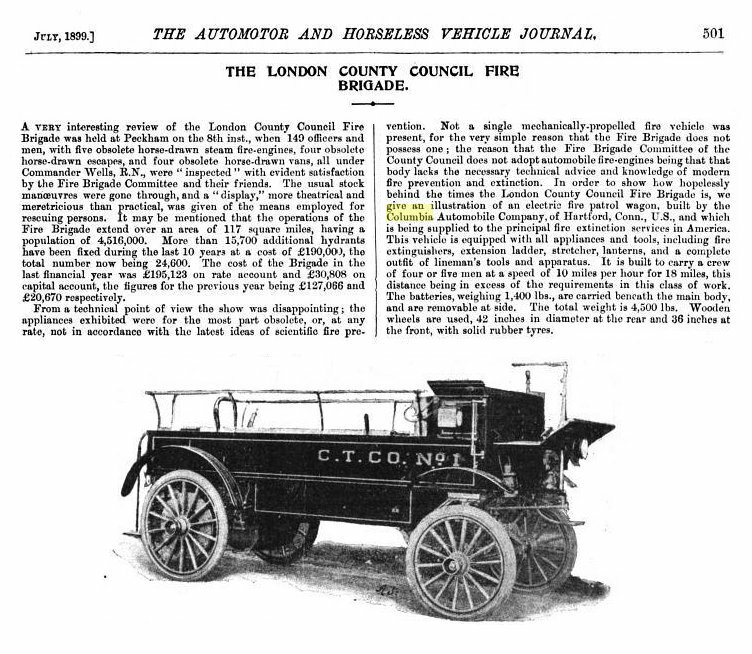 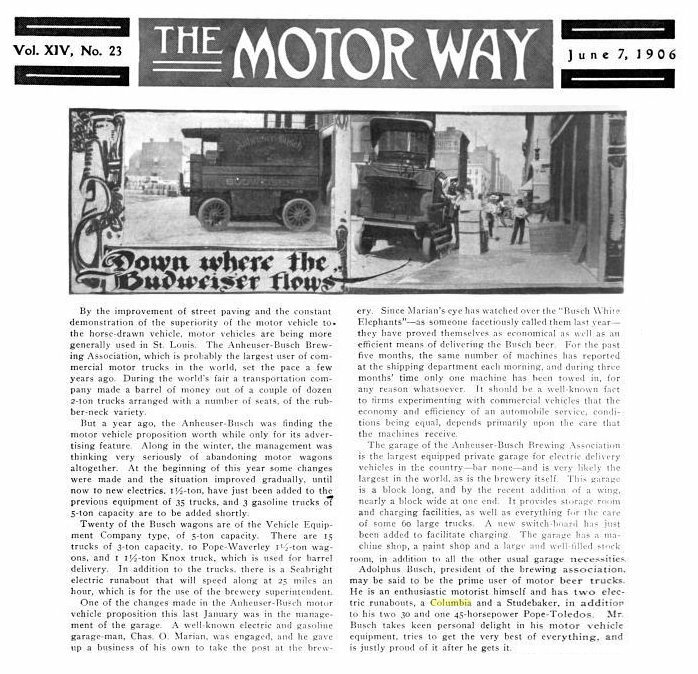 Early in 1907, a 40-45 hp. 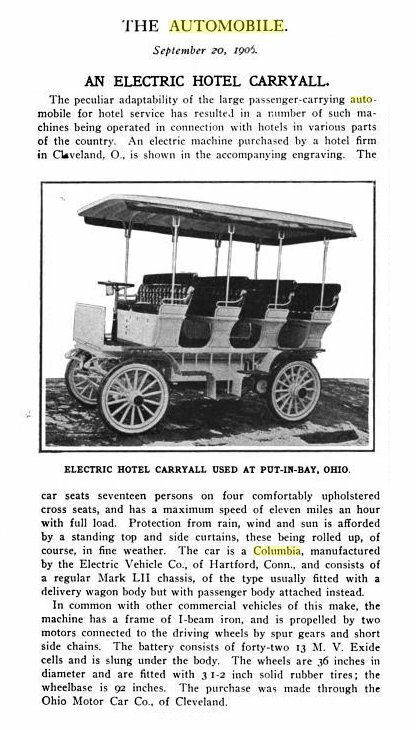 Gasoline Touring Car was re-fitted as a hotel bus. 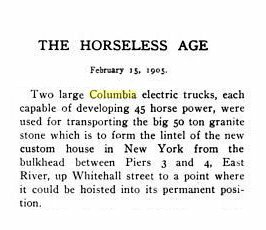 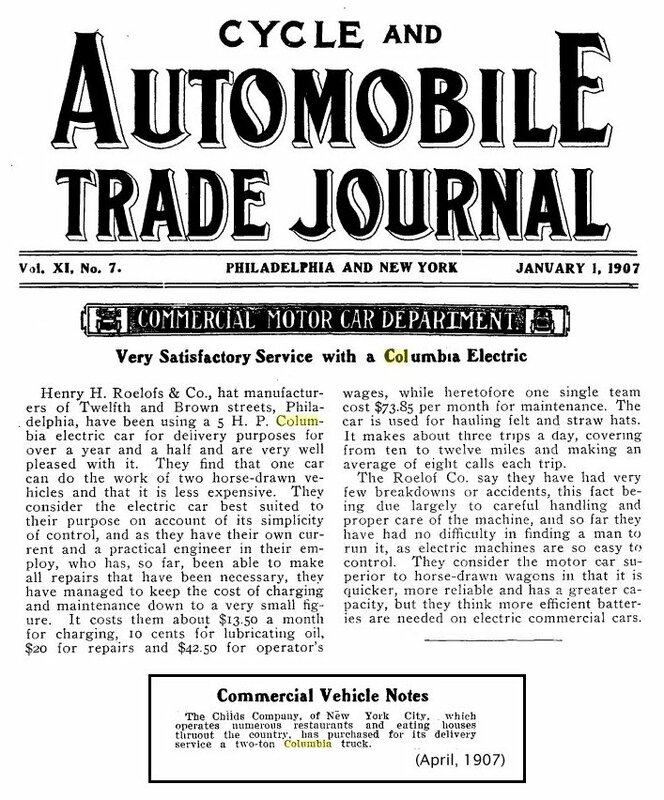 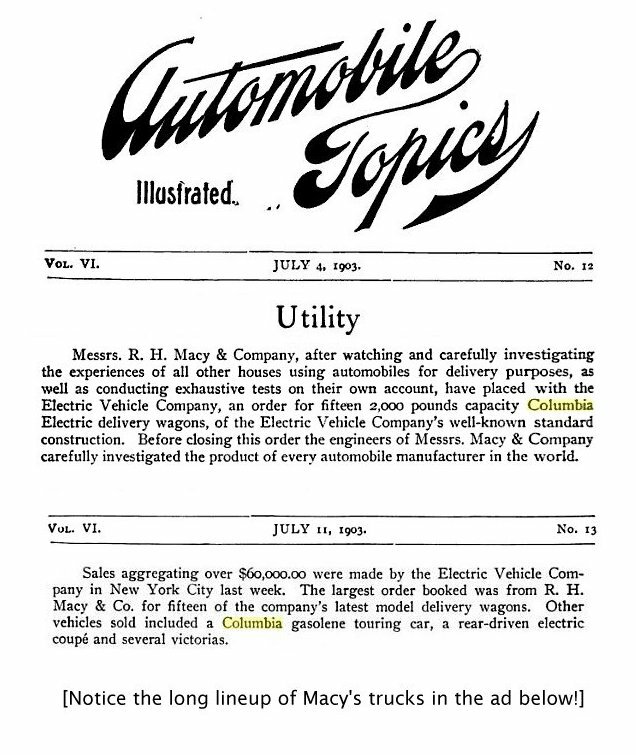 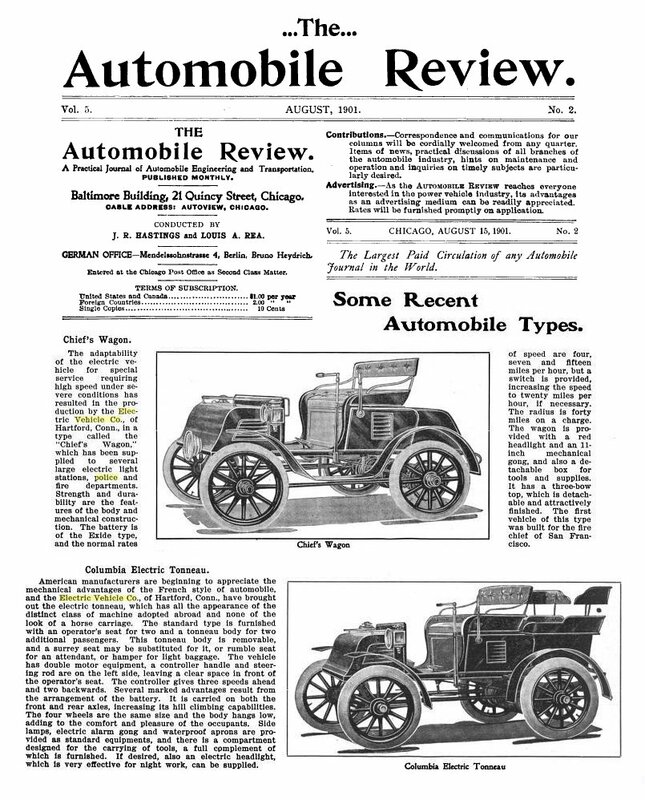 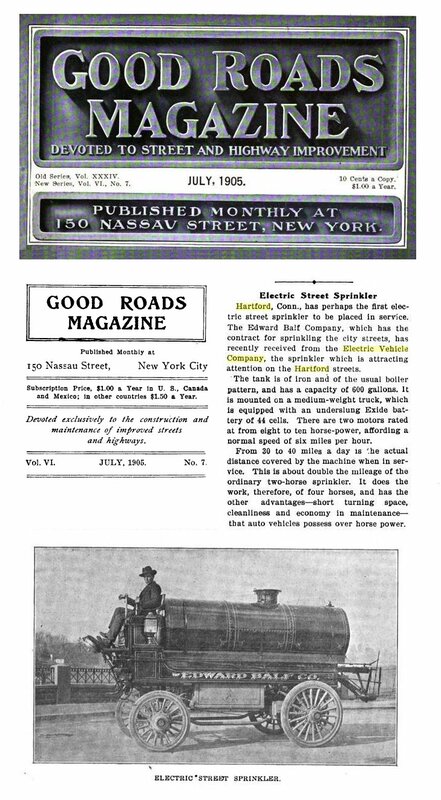 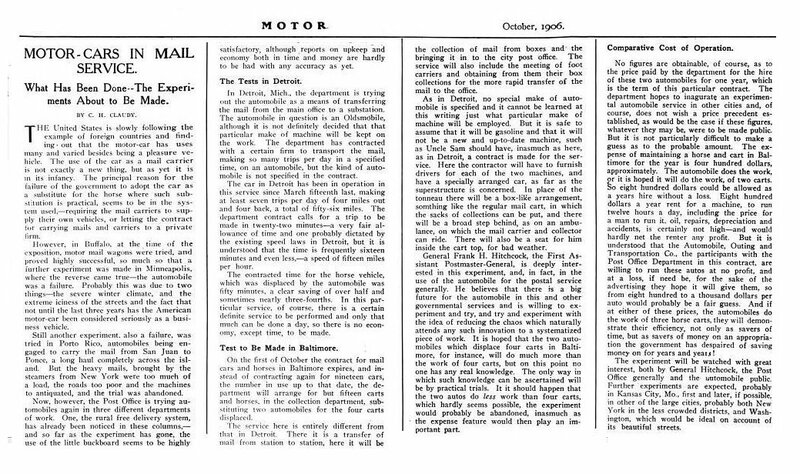 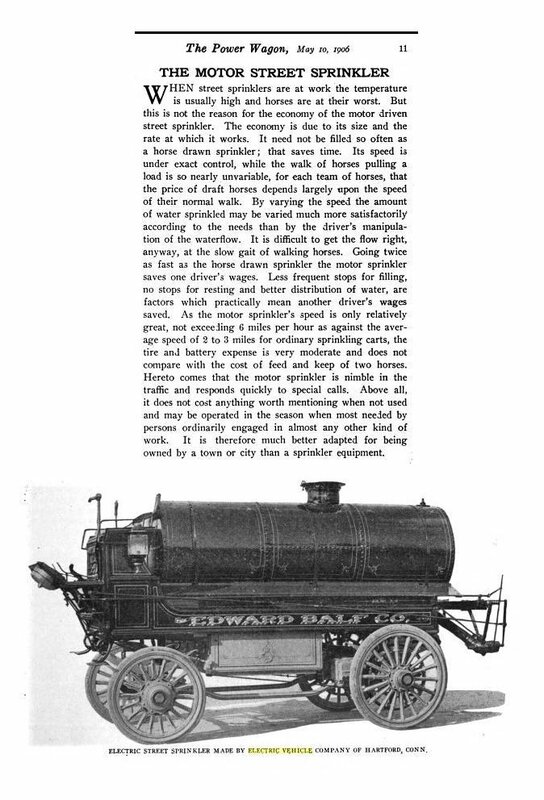 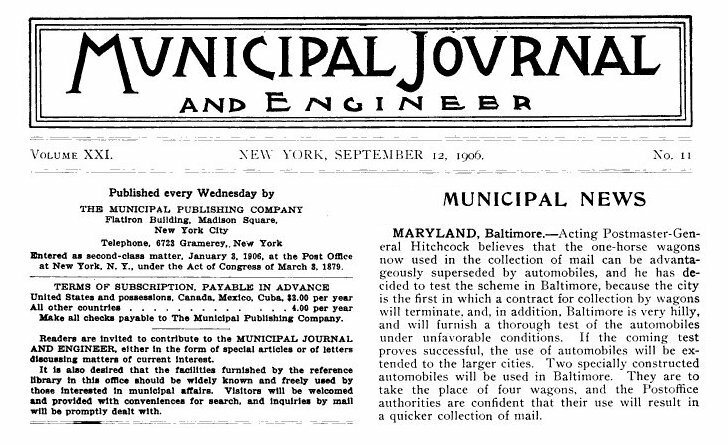 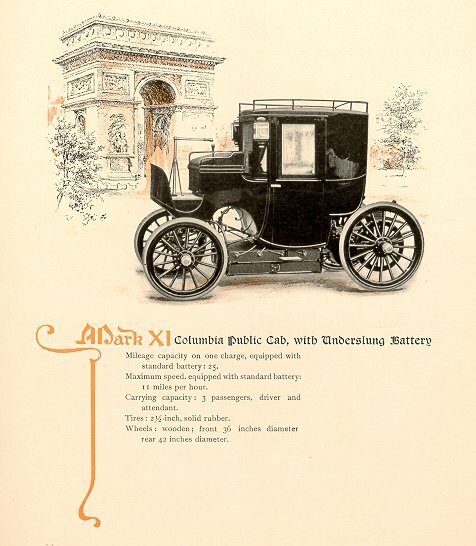 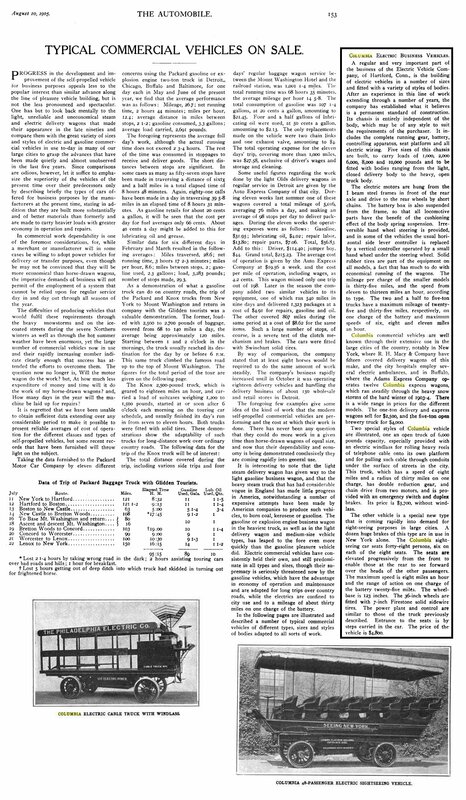 along with the 1906 Herald of Columbia catalogue. 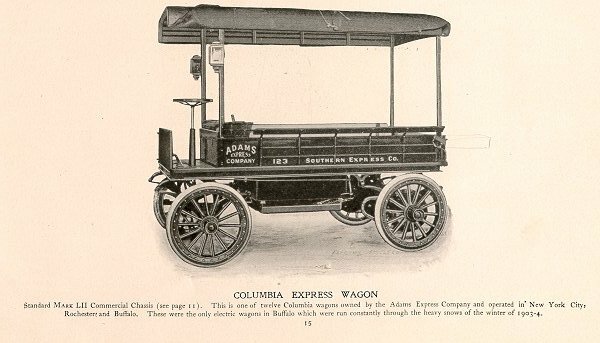 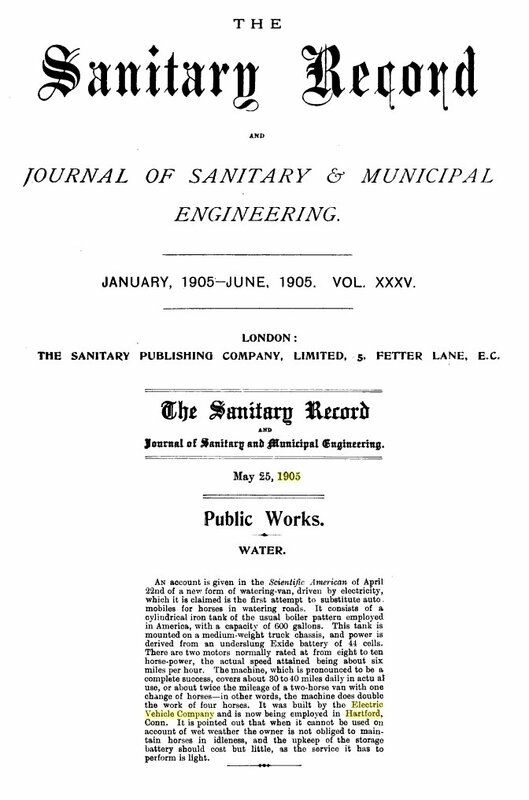 from the 1906 catalogue, click HERE. 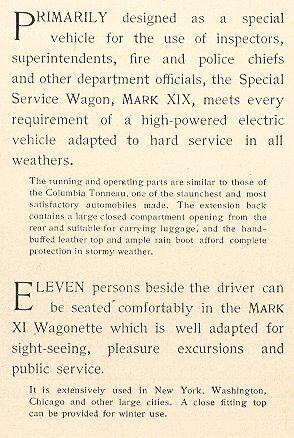 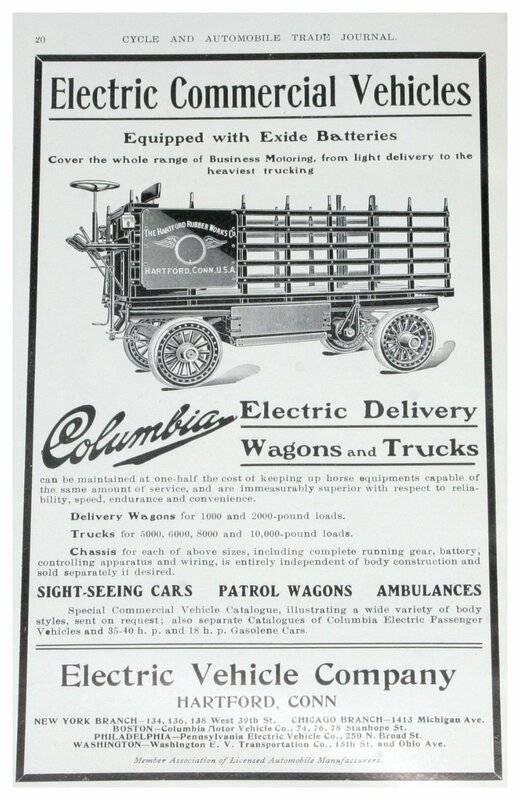 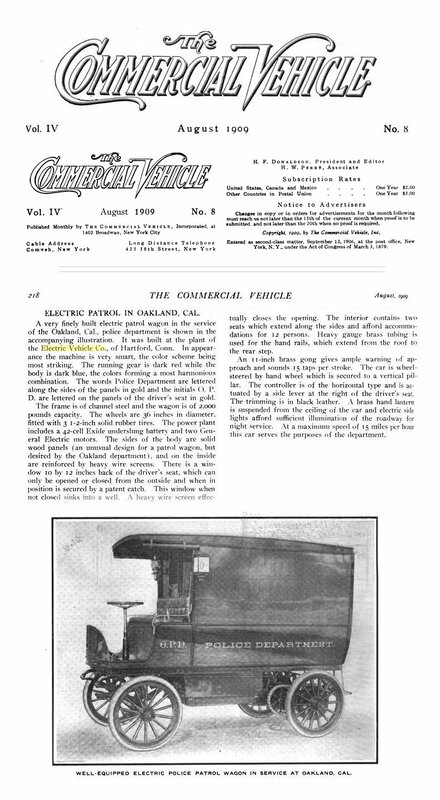 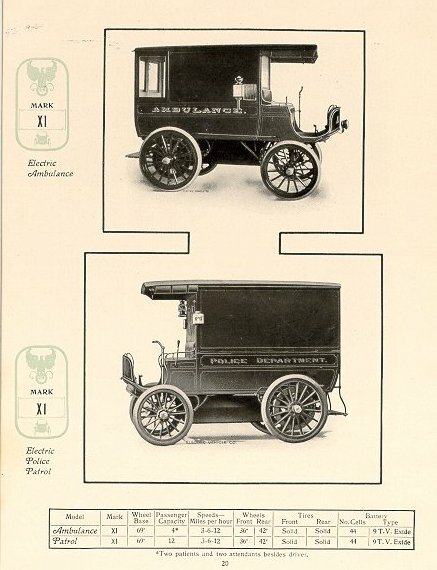 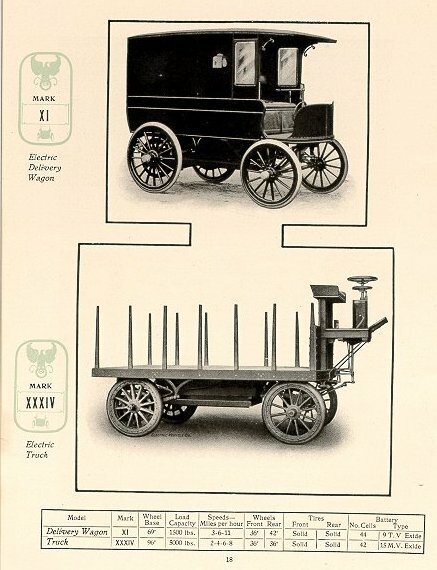 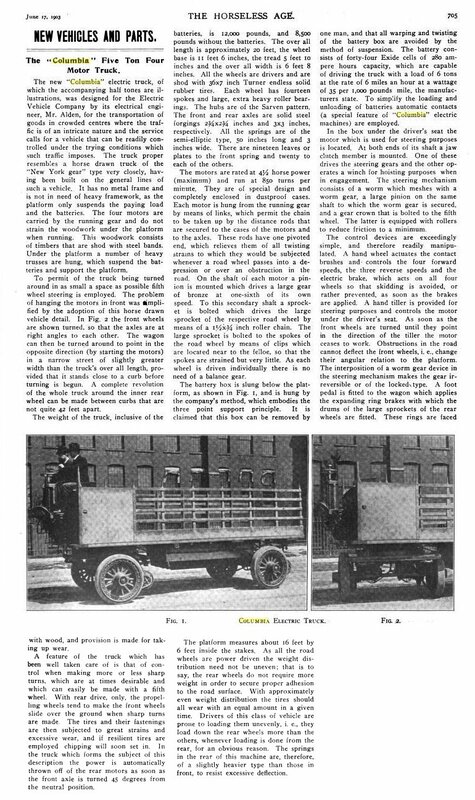 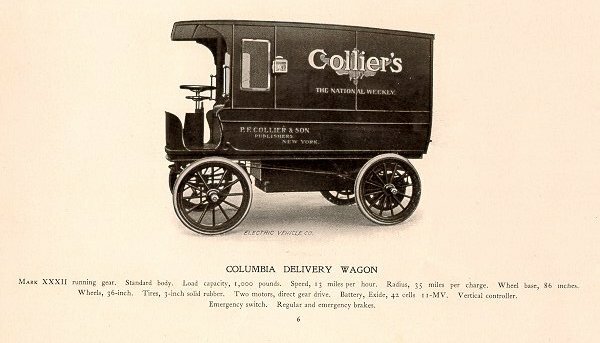 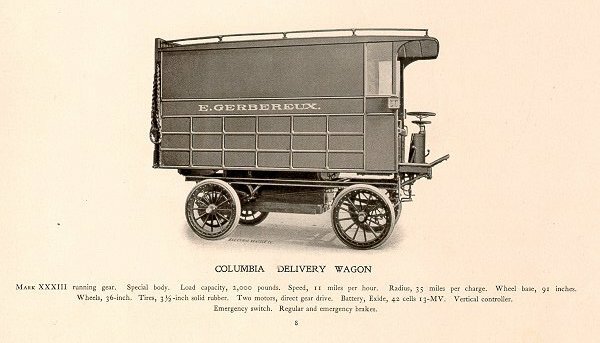 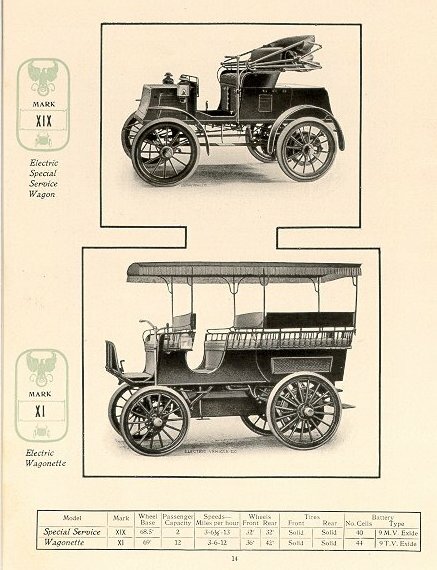 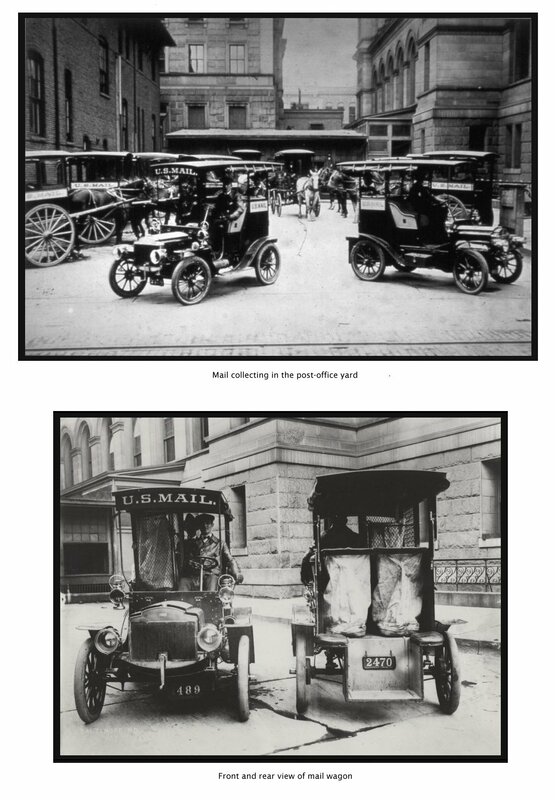 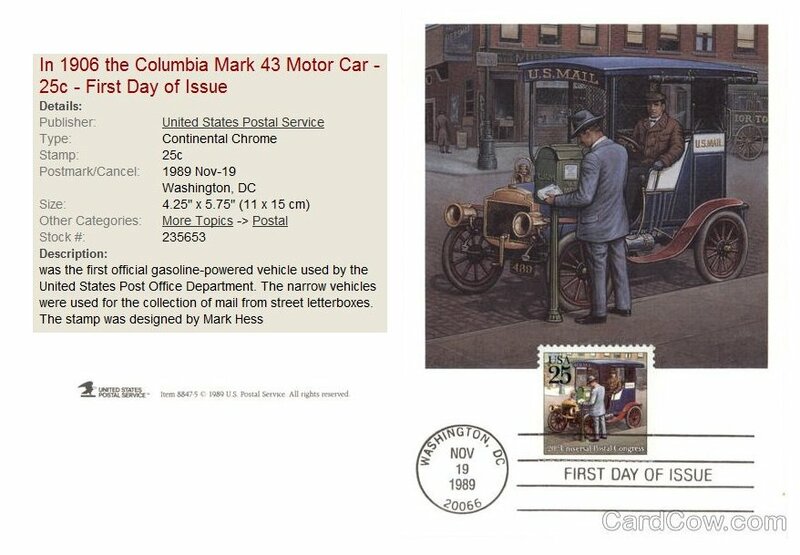 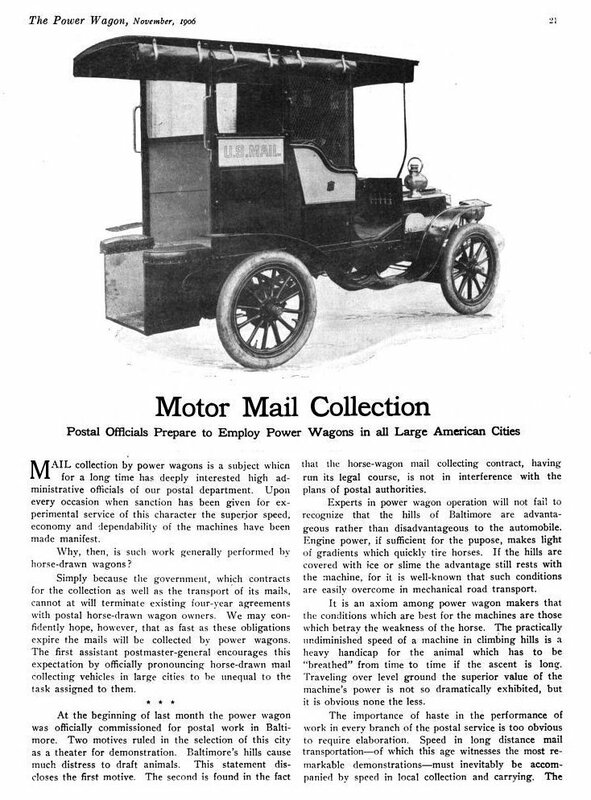 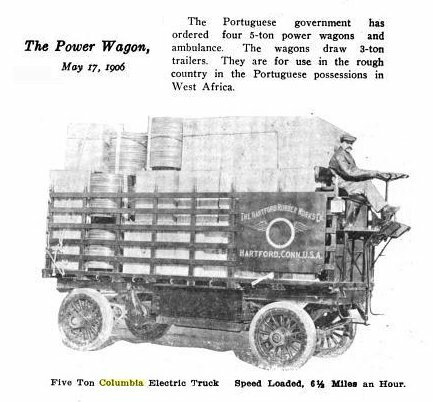 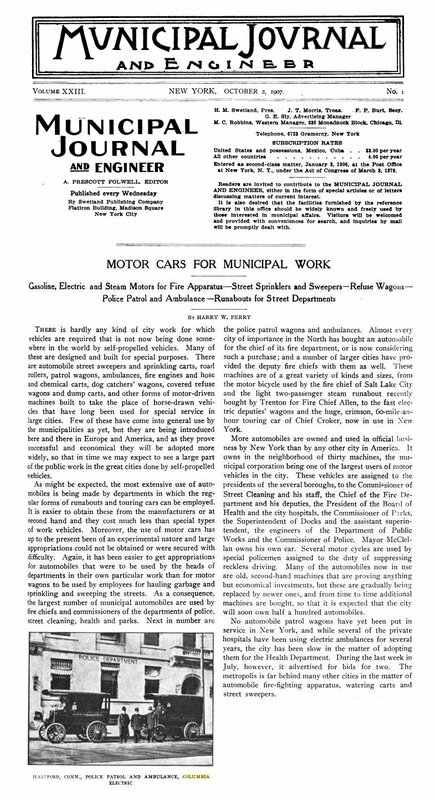 Below are illustrations of Columbia vehicles used by the US Postal Service. 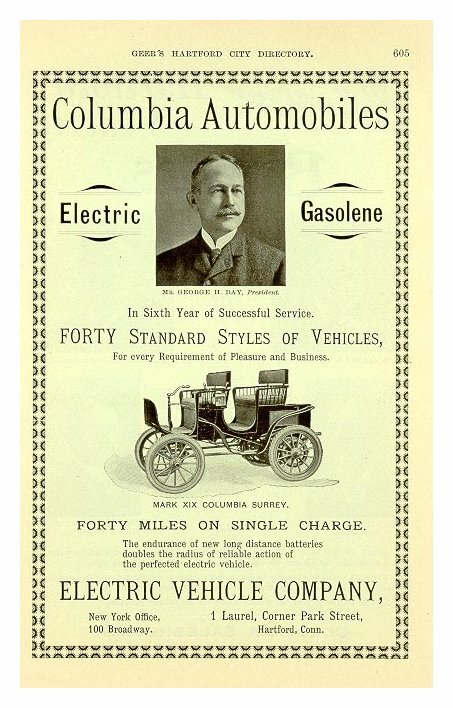 (so far) of gasoline models in commercial use. 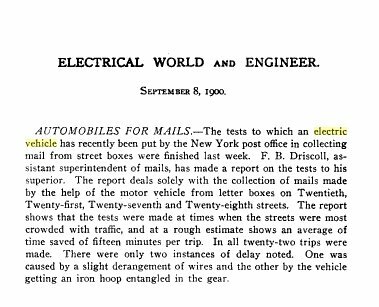 To read more about Postmaster Frank Hitchcock, click here.